Rice krispie energy bars from Running with Spoons are packed with protein. These marshmallow-less bites are held together with a mixture of almond butter and honey. A scoop of protein powder is added to boost the nutritional value of these treats. 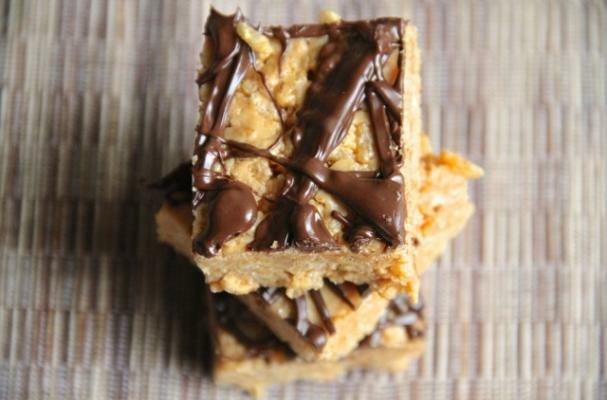 To finish these rice krispie bars, a drizzle of chocolate is poured over the top. While I wouldn't suggest swapping these bars out for your carrot sticks, they do give you enough energy to help you get through the day. For recipe instructions, click here.